Started by Joan M. Hardt, M.D., Rejuvena Cosmetic Medical Center is a transformative skin and body clinic where meticulous skill and artistry combine with the most effective advances in medicine and technology to help you look and feel your absolute best. Unlike many providers of aesthetic services, Dr. Hardt is always on-site and committed to working personally with every patient who visits our facility. This hands-on approach ensures you receive the highest caliber of quality, safety and effectiveness. To schedule a free initial consultation with Dr. Hardt, please contact Rejuvena Cosmetic Medical Center today at 405-842-1100. We proudly serve Oklahoma City, Norman, Edmond and all Oklahoma communities as well as patients from throughout the country. Our hard-earned reputation as one of Oklahoma City’s premier cosmetic medical centers begins with Joan M. Hardt, M.D.. After graduating from the University of Oklahoma College Of Medicine, Dr. Hardt completed her residency training in emergency medicine at Strong Memorial Hospital in Rochester, New York. For the next several years, she practiced medicine in hospital emergency departments until pursuing her passion in non-surgical aesthetic medicine. In 2002, following almost two years of extensive training and practice, Dr. Hardt opened Rejuvena Cosmetic Medical Center. Today, Dr. Hardt is one of the most respected and sought-after specialists in Oklahoma City. 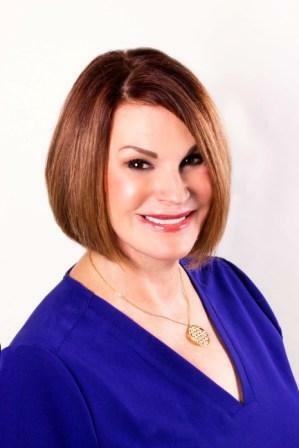 She is also one of the few physicians in the country to be given "Platinum Plus" and “Top 500” status by Allergan, the makers of BOTOX® Cosmetic and JUVEDERM®. There are certain predictable elements to aging. However, the degree, nature and pace of change are unique to every person, requiring an equally unique treatment plan. At Rejuvena Cosmetic Medical Center, Dr. Hardt takes an individualized approach to every patient. During your initial consultation, she will take the time to understand your personal goals and design a treatment plan that is customized specifically for you. This is just a brief sampling of some of the many services we offer. For a complete list of services, please visit our Services page. From the moment you enter our brand new, state-of-the-art facility, you’ll realize that Rejuvena Cosmetic Medical Center isn’t like any conventional med spa you’ve visited before. Unlike other practices with somewhat similar service offerings, we place an emphasis on you as a whole person, not just a collection of body parts and problem areas. We know that beauty is more than just skin deep, and to truly look great on the outside, you must feel good on the inside. During your initial consultation, Dr. Hardt will perform a thorough evaluation. When discussing your aesthetic goals and personal concerns, she will also discuss your health and wellness. She will explain all of your treatment options and recommend a customized treatment plan that best meets your goals, budget and lifestyle. To help you achieve the most effective, long-lasting results, Dr. Hardt has invested a substantial amount of time and resources to remain at the cutting edge of her field. She uses only the most advanced technology and techniques to ensure your safety and satisfaction. To learn more about how Dr. Hardt can help you, please contact Rejuvena Cosmetic Medical Center today online or at 405-842-1100 to schedule a complimentary, one-on-one initial consultation. Our office in Oklahoma City welcomes patients from across the state, including Norman and Edmond, Oklahoma.